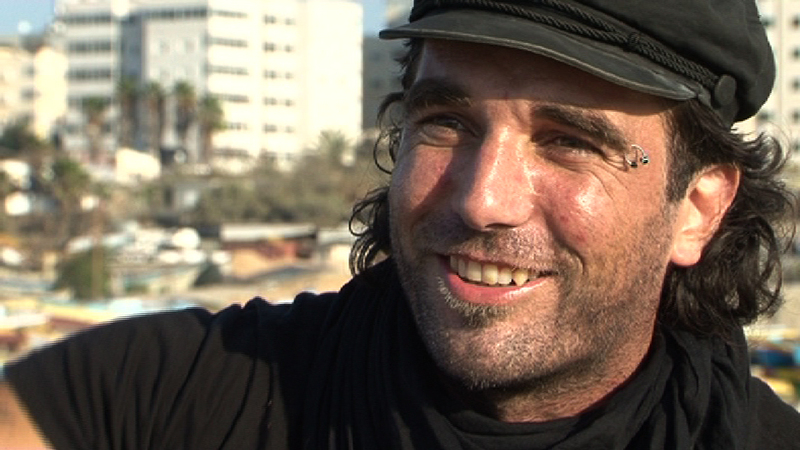 Vittorio Arrigoni (1975-2011), a solidarity activist from Italy, came to Gaza with the Free Gaza boats in 2008. Vik, or Viktor as he was called, lived in Gaza from 2008 until his death. He reported on the effects of the Israeli occupation . f Gaza and was a member of the International Solidarity Movement (ISM). He joined weekly demonstrations in the no-go-zone by the border and was especially committed to supporting and protecting Palestinian fishermen and farmers. While accompanying the fishermen, Vik was injured, arrested and deported by the Israeli military. He came back and was one of the few foreigners that stayed in Gaza during the Israeli military onslaught of 08/09. He reported for the Italian newspaper “Il Manifesto”, relaying personal accounts of his experiences during Cast Lead. They are collected in his book Gaza, Stay Human. On April 13th, Vik was abducted by members of “Tawhid wal-Jihad”, a salafist group in Gaza. He was murdered on April 15th 2011.